Bruce McCarthy is CEO of UpUp Labs and President of the Boston Product Management Association. He’s been called the face of Boston product management and (for Top Gear fans) the product management Stig. Bruce helps organizations improve the return on their investments in product development. 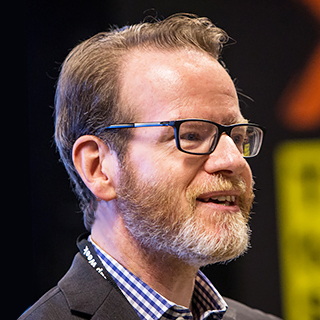 He is an internationally-recognized thought-leader and sought-after speaker on product roadmapping, prioritization, team effectiveness, and leadership. Bruce and his team work with companies such as Vistaprint, Localytics, Zipcar, Johnson & Johnson, and Huawei, providing coaching, mentoring, and tools such as Awesomeness, a solution for measurably enhancing team effectiveness. Steve Blank said about Bruce's best-selling new book, Product Roadmapping Relaunched: How to Set Direction While Embracing Uncertainty, “It’s about time someone brought product roadmapping out of the dark ages of waterfall development and made it into the strategic communications tool it should be. McCarthy and team have cracked the code.” Learn more and order your copy at productroadmapping.com. A traditional product roadmap is not flexible enough for the Lean and Agile methods many organizations have adopted, and it is often light on the strategic context necessary for teams to internalize the overall vision. Many have abandoned roadmaps altogether, but retain this nagging sense that they are missing the strategic big picture. Fortunately, there is a new generation of product people developing a new breed of product roadmap. Bruce has assembled these best practices into a flexible framework that represents a new paradigm in product roadmapping focused on results rather than features and dates. Anyone is welcome. Attendees will come away with a new understanding of what product roadmapping done well looks like, practice in making it work, and roadmap practice health assessment checklist they can use in relaunching roadmapping in their organization.